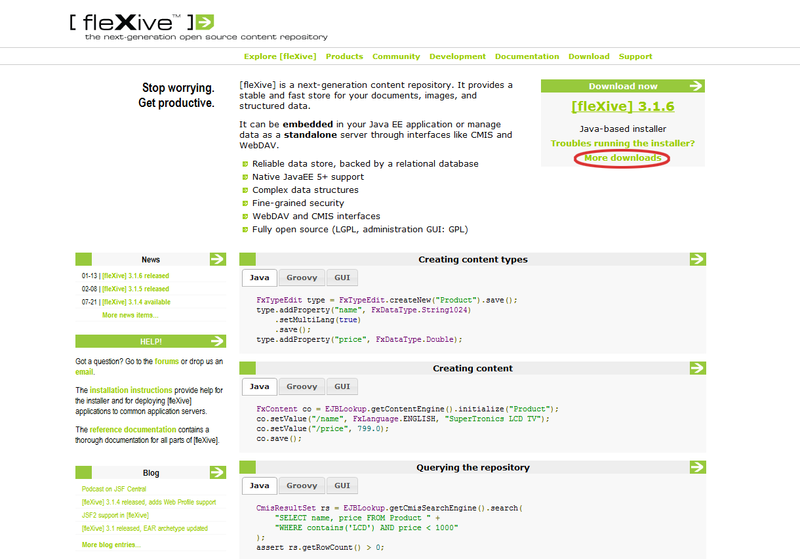 [fleXive] CMS controls all importnat parts of your web site: pages, images, stylesheets, and so on. 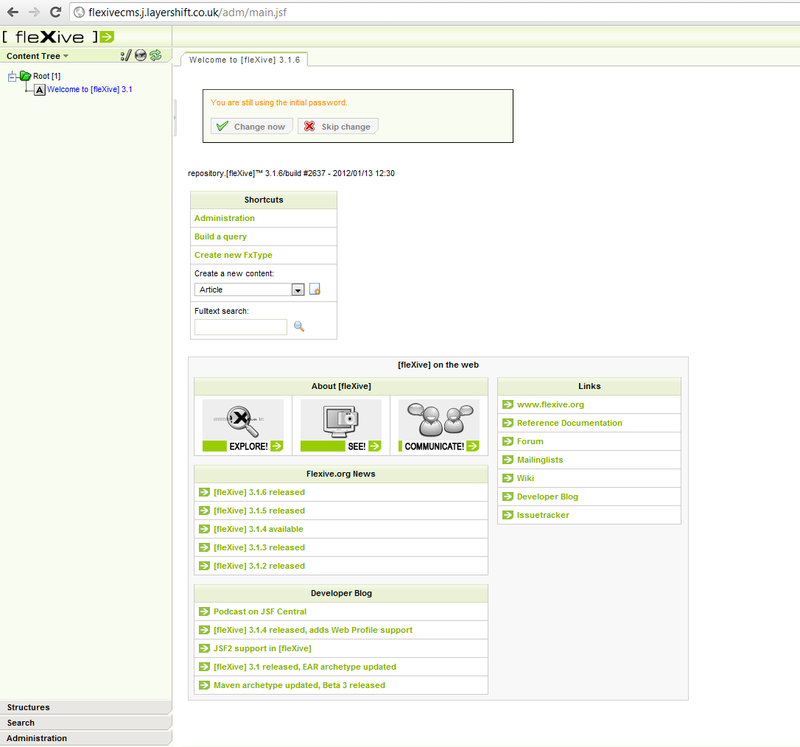 By applying workflows, the site owner can specify processes for certain actions (e.g. publication of new contents). Templating ensures that the page layout is separated from the page contents. You don’t even need to write a single line of code for creating a website with [fleXive] CMS and you don’t need to change a single line of code to deploy it to Jelastic Cloud. 3. In the Environment topology dialog which opens, specify the resource limits (e.g. 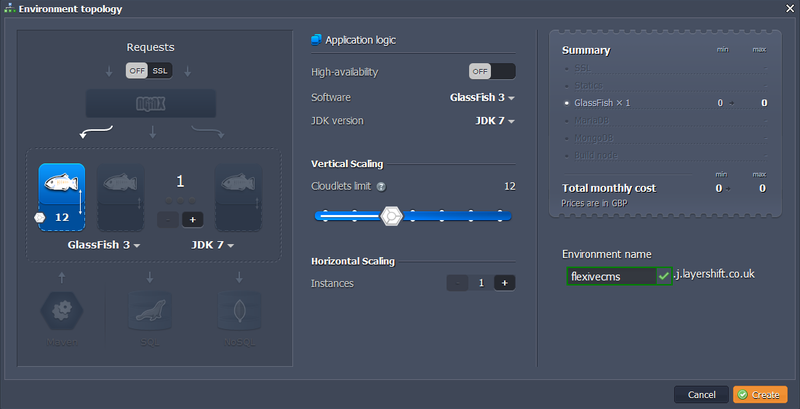 16 cloudlets), pick GlassFish as your application server, type your environment name, for example, flexivecms and click Create. In a minute the environment with both Tomcat and Maria DB will be created. 1. Navigate to flexive.org and download the current flexive-admin.war. 2. Upload your Java package to the Deployment manager. 4. 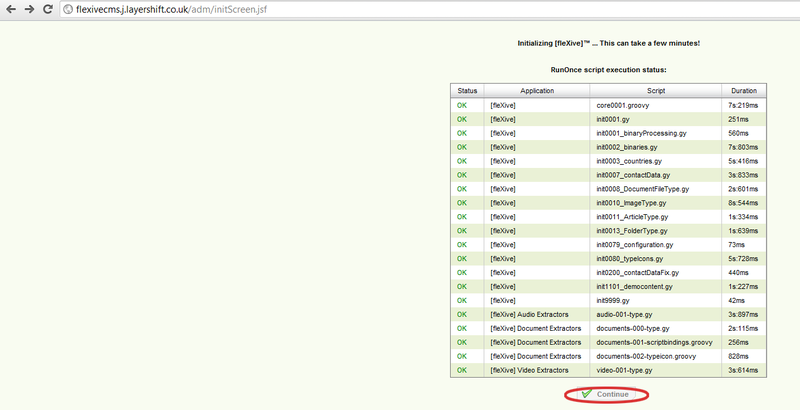 When the deployment is successfully finished, launch the application in web browser. Log in with the initial login for the backend (supervisor/supervisor). 5. Wait a minute for the initializing process to be finished, click Continue and voila! 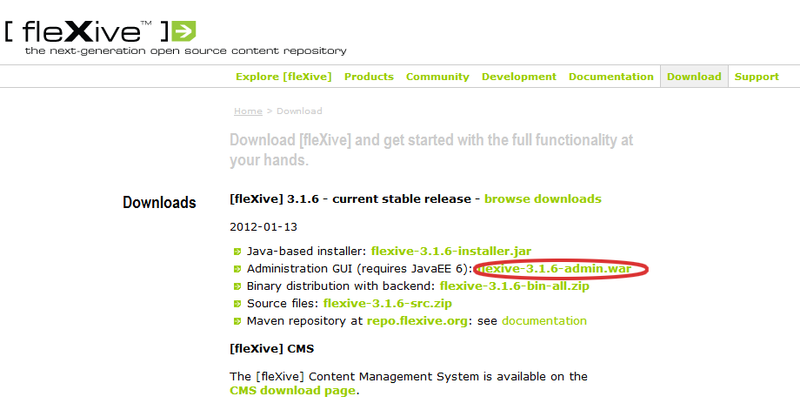 you can start using Flexive CMS.